The narrative, shared by President Vladimir Putin, his top lieutenants and state television, is strikingly similar to U.S. President Donald Trump’s description of the investigation as a “witch hunt:” They say the whole process is about the Democrats’ stubborn refusal to admit that they lost the election. “They don’t want to acknowledge his victory and do everything to delegitimize the president,” Putin said at his annual news conference in December. 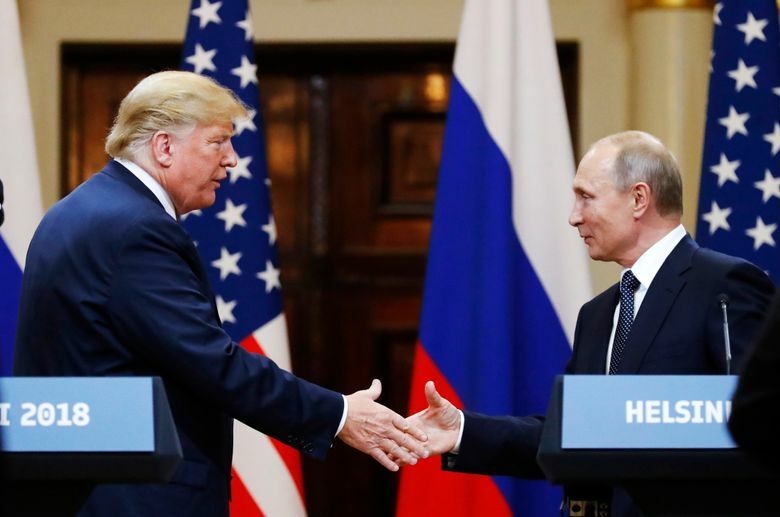 Trump has been widely criticized for failing to publicly denounce Russia’s interference in the 2016 U.S. election and appearing to accept Putin’s denials of such activity. Trump’s relationship with Putin has long been the source of intrigue, both at home and in world capitals. He has repeatedly praised his authoritarian peer while straining ties with many of Washington’s closest allies. In one indictment, Mueller has accused Russia’s military intelligence agency GRU of hacking into the Democratic campaign and releasing the stolen emails through WikiLeaks. Another has charged employees of a Russian troll farm allegedly controlled by Yevgeny Prigozhin, a businessman dubbed “Putin’s chef” for his ties to the Kremlin, with spreading disinformation on social media in a bid to bolster support for Trump and disparage his rival, Hillary Clinton. 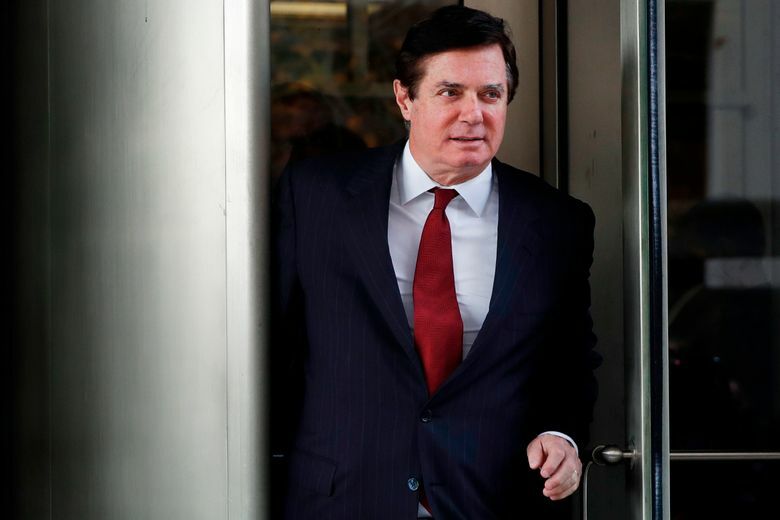 Last week, Russian state television stations jumped at the relatively mild sentence handed to former Trump campaign chairman Paul Manafort as proof that Mueller’s investigations have failed to hit their target. “The mountain gave birth to a mouse,” the state-controlled Rossiya television snapped while reporting on Manafort, who was sentenced to nearly four years in prison for tax and bank fraud related to his work advising Ukrainian politicians — much less than what was called for under sentencing guidelines. Another state-controlled nationwide channel, NTV, described the sentence as a blow to Mueller. 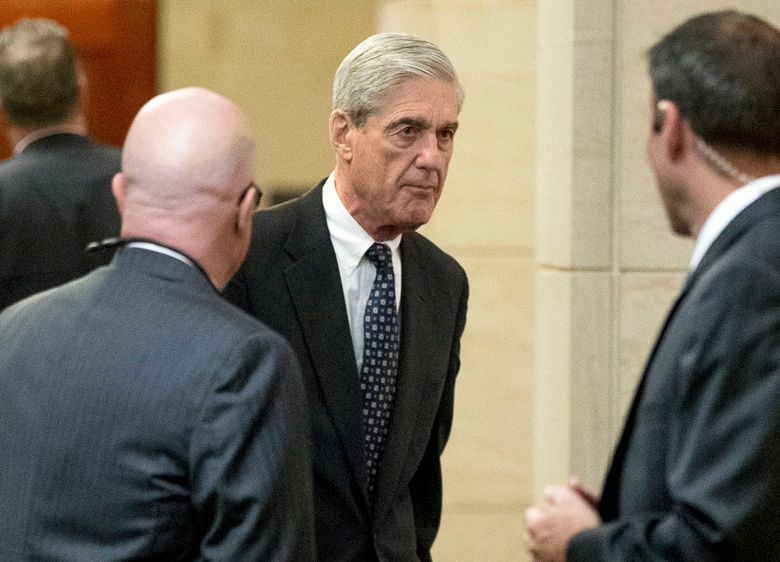 “It was a slap in the face for special counsel Robert Mueller and his investigation into the Russian collusion that has found no collusion whatsoever,” it said. 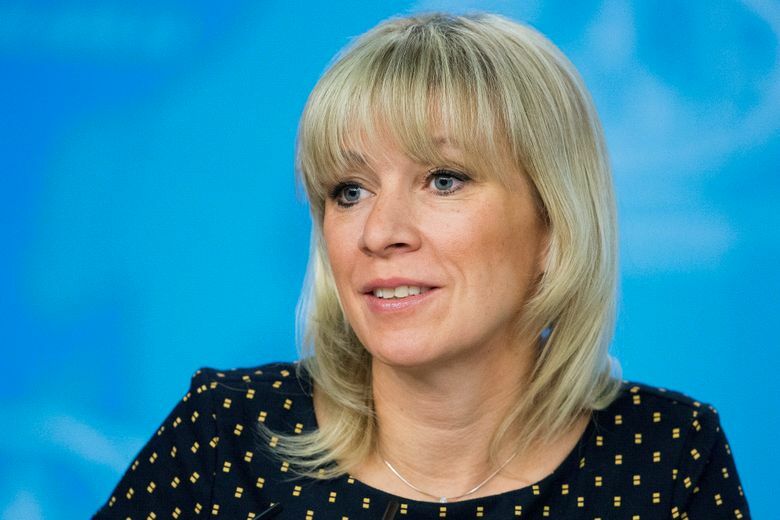 Zakharova went on to say that Russia-U.S. relations have fallen hostage to the U.S. political infighting, and contributed to sanctions against Moscow and “incinerated” bilateral ties. The U.S. and the EU sanctions have slapped an array of sanctions on Russia ever since the country’s annexation of Ukraine’s Crimean Peninsula in 2014, its subsequent support for separatist insurgents in eastern Ukraine as well as the perceived meddling in the U.S. election. The sanctions have spooked investors and weighed on growth. Some lawmakers in the U.S. Congress are pushing for more punishing sanctions, including those targeting Russia’s top state banks. 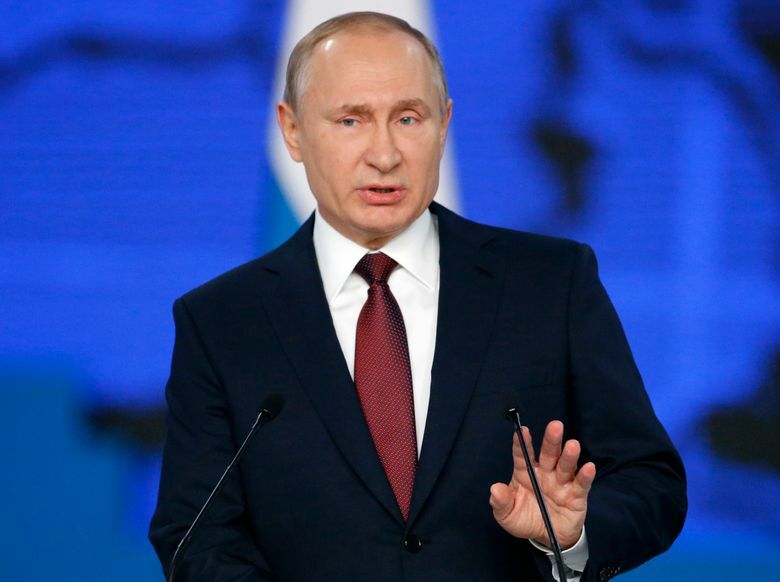 Putin has denounced the sanctions as an attempt by the U.S. and its allies to weaken and punish Russia for its independent stance and vowed that the pressure wouldn’t force Moscow to change its course. While the Kremlin has sought to put on a brave face while talking about the sanctions, it has recognized that further restrictions would raise new challenges. 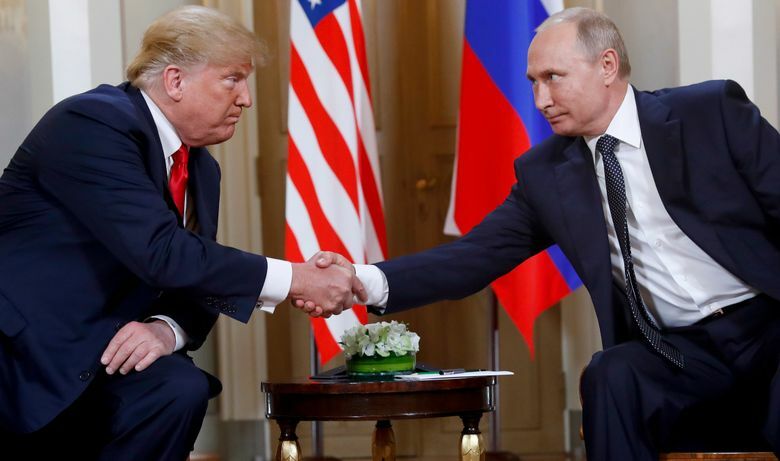 Russian media have pointed at the growing number of congressional investigations into Trump’s campaign as part of a multi-pronged attack by the Democrats.